A paradox is a statement that appears to contradict itself, but may still be true. This can be confusing for students to understand. 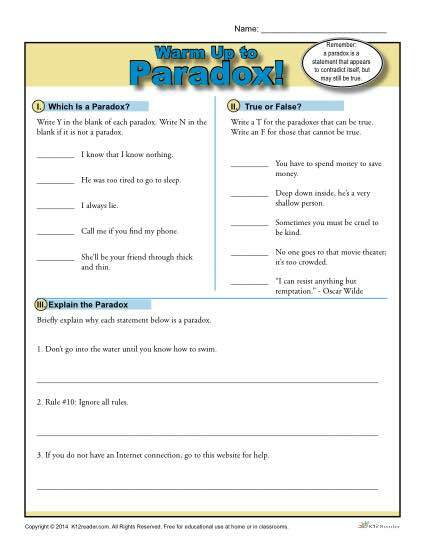 This free printable worksheet helps identify and explain what a paradox is and how to use them!